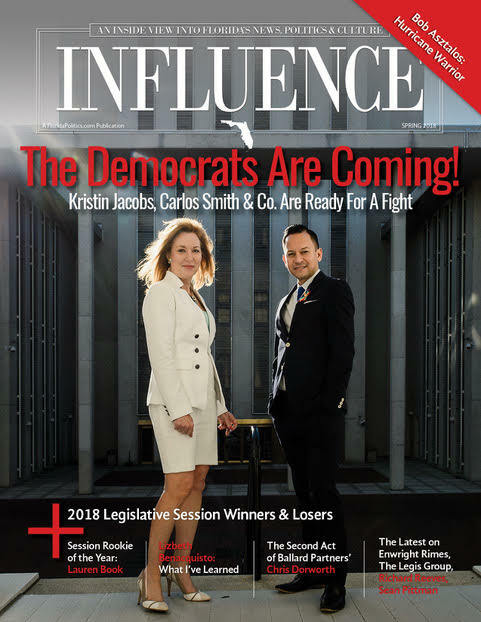 Here’s a surprise the Easter bunny left in our basket: the latest edition of INFLUENCE Magazine, now available in digital format and coming soon in print. We had planned for this issue to highlight the INFLUENCE 100, but so much is going on in the influence world (or, as the AP’s Gary Fineout likes to call it, the influence media), that we needed to get an issue out that captured what happened during the 2018 Legislative Session, as well as to many of the players who are part of The Process. If one thing is clear post-Parkland, it’s that Florida Democrats — three decades removed from power — are gearing up for a monumental political and policy fight. The outcome of this fight will shape the influence industry for years to come. Several Democrats are on our list of Winners and Losers emerging from the Session, including our “Rookie of the Year” Lauren Book, a first-term state senator featured inside. If Book is the newcomer to watch, Sen. Lizbeth Benacquisto is the veteran lawmaker to listen to. If you read one thing in the magazine, make sure it’s her first-person thoughts on the state of The Process. The rest of the magazine is filled with a barrage of news and notes about dozens of other players, including Sen. Rob Bradley, Rep. Kristin Jacobs, former Rep. Chris Dorworth, Randy Enwright, Jim Rimes, and many others. Some of those may well be in the INFLUENCE 100. Until then, ponder the contours of the new political landscape, coming to places — and pages — near you. CLICK HERE TO CHECK OUT INFLUENCE MAGAZINE. Reporting deadline for Q1 fundraising — 12; NFL Draft begins — 23; Avengers: Infinity War opens — 24; Close of candidate qualifying for federal office — 30; Mother’s Day — 40; Solo: A Star Wars Story premier — 52; Memorial Day — 55; Father’s Day — 75; Close of candidate qualifying for statewide office — 80; Deadline for filing claim bills — 120; Start of the U.S. Open — 146; Primary Election Day — 147; College Football opening weekend — 151; General Election Day — 217; ‘Hamilton’ comes to the Straz Center — 317; 2019 Legislative Session starts — 336. The Constitution Revision Commission’s Style & Drafting committee meets Tuesday to finish up its work on packaging 25 active proposals for the November ballot. The full commission had cleared the proposals after a three-day Session last month. They include measures to ban offshore drilling, greyhound racing and indoor ‘vaping,’ put term limits on local school board members, and create a ‘bill of rights’ for crime victims. The finished proposals will go back to the full commission, where they must receive no less than 22 votes to be placed on the ballot. Then they face a minimum approval of 60 percent of statewide voters to be added to the state constitution. The commission’s final report is due to Secretary of State Ken Detzner by May 10. The body is constitutionally charged with forming every 20 years to review and suggest changes to the state’s governing document. “Gwen Graham calls Donald Trump an ’embarrassment’ in digital ad” via Matt Dixon of POLITICO Florida — Not only is the former congresswoman’s digital ad focused on Trump, but it is also first running in the Palm Beach market, an intentional move to target Mar-a-Lago, Trump’s private club where he frequently stays. It will later run on digital platforms across the state. “Donald Trump is an embarrassment,” Graham says in the ad. The ad is an attack on Trump but is done with a light touch, using soft music and does not feature a deep-voiced narrator that’s become common in attack ads. “Personnel note: Bettina Weiss in as Graham press sec’y” via Florida Politics — Weiss is an alumna of Connecticut College, where she earned a bachelor’s in American studies, and Johns Hopkins University, where she earned a master’s in political communications. She moved over to campaign last month, relocating to Orlando from Washington, D.C. where she spent nearly two years working for Americans for Responsible Solutions, a super PAC that supports stricter gun laws, such as background checks for private sales and a ban on assault-style weapons. Weiss’ resume also includes work as a crisis counselor with the Crisis Text Line, as a prevention coordinator for sexual violence resource center healingSPACE, and as a gun violence prevention reporter for Generation Progress, the youth-centered offshoot of progressive think tank Center for American Progress. Weiss’ addition signals the Graham campaign’s continued focus on gun violence in the four-way Democratic Primary for governor. Ron DeSantis targeted in new radio, TV ads — The National Liberty Federation, a dark money group with ties to political consultant Roger Stone, is battering DeSantis in a pair of attack ads released this week. The group has plunked down more than $350,000 in ad buys on radio and TV, including more than $250,000 for a commercial airing on Fox News through Thursday. “It was supposed to be a revolution to take back Washington, but when Ron DeSantis got elected, it was like he couldn’t wait to be part of the in-crowd. Cozying up to two defense contractors, taking thousands of dollars in campaign donations, and even moving into a beachfront condo — you guessed it — owned by the same defense contractors,” the ad narrator says. “DeSantis didn’t throw the bums out of Washington; He moved right in with them. Is this the swamp creature we want to lead Florida?” The ad points to a website, RonDeSantisFacts.com, with a long list of gripes the group has with the Northeast Florida congressman, including “ties to the Republican establishment,” his net worth and his supposedly tepid support of Trump, an early backer in his bid for governor. Assignment editors — Democratic gubernatorial candidate Philip Levine will hold conversations with college students by kicking off a tour at the Florida State University beginning 12:30 p.m., Oglesby Union Room 314, 75 N. Woodward Ave., Florida State University in Tallahassee. Assignment editors — Republican gubernatorial candidate Adam Putnam will host an “Up & Adam” breakfast in Miami beginning 8:30 a.m. at the La Carreta Restaurant, 8650 Bird Road in Miami. He will be the keynote speaker at the DeSoto County Republican Executive Committee’s Lincoln/Reagan Day Dinner in Arcadia. That’s at 7 p.m., Turner Agri-Civic Center, 2250 NE Roan St., Arcadia. For news media: This is a ticketed event. If you plan to attend, please email amanda@adamputnam.com by noon Tuesday. Assignment editors — Leadership Florida and the Florida Press Association will discuss plans for the General Election Debates for U.S. Senator and Governor in a media conference call beginning 10 a.m. at 1-888-392-4560; access code: 9979718. Hosts include Wendy Spencer, president and CEO, Leadership Florida; Beth Kigel, board chair of Leadership Florida; Dean Ridings, president and CEO of the Florida Press Association; J. David Armstrong, president of Broward College and Caroline Taplett, president and general manager of WPBF TV. Ashley Moody named a “Women to Watch” at Republican Women event — The Florida Women’s Political Network hosted its annual Celebration of Republican Women luncheon where it awarded Moody a “Women to Watch” award. This award goes to women who are “making strides in Republican politics and public service.” Moody said: “It was a privilege to stand alongside such strong women leaders from across our state who have spent their life fighting for Republican values. I look forward to continuing to fight for these values as Florida’s next Attorney General.” Following the lunch, Moody won the Attorney General straw poll with 74 percent of the vote. “Tim Canova drops Democratic bid to unseat Debbie Wasserman Schultz, will run as independent” via Alex Daugherty of the Miami Herald — “Even as independents, we are the real Democrats in this race,” Canova said at a news conference outside Broward County Elections Supervisor Brenda Snipes’ office. “Even as we run as independents, I will run as a better Democrat. I did not leave the Democratic Party; the Democratic Party left us.” Canova, whose 2016 bid received national attention after Sen. Bernie Sanders backed him over Wasserman Schultz, eventually lost the Democratic primary by 14 percentage points. Canova’s decision to run as an independent gives Wasserman Schultz a clear path to the Democratic nomination in 2018. Republicans Joe Kaufman and Carlos Reyes have also filed to run in Florida’s 23rd Congressional District, which encompasses portions of Broward County and northeastern Miami-Dade County. David Richardson raises $410k in Q1 — Richardson, one of many Democrats running for CD 27, said Monday he raised about $411,000 for his campaign during the first three months of the year. “My race in District 27 is not just about electing a Democrat — it’s about electing the right Democrat, one who is driven by and committed to progressive ideals. That’s who I am, and our fundraising numbers demonstrate that’s what this district wants. I thank my supporters for believing in this campaign,” Richardson said. The announcement did not mention how much of the Q1 haul came in through loans, though it said when the final report is in it’ll show more than $1.4 million in total fundraising and $1.1 million in cash on hand since Richardson filed in July. By the end of 2017, he’d lent his campaign $500,000. “Carrie Pilon files for SD 24” via Drew Wilson of Florida Politics — Pilon announced Monday that she’s filed to run as a Democrat for the Senate District 24 seat currently held by St. Petersburg Republican Sen. Jeff Brandes. “I’m running for the State Senate because the legislature in Tallahassee is not working for Florida’s families. As a member of the State Senate, I’ll hold special interests accountable, and stand up to the Legislature’s Trump-style agenda,” said Pilon, a former prosecutor who now runs an injury law firm. … “As a small-business owner, I know firsthand the challenges of meeting payroll and providing health insurance for our staff and families. We deserve a state legislature focused on helping our small businesses grow, not handing out corporate welfare checks to their friends.” … So far, Pilon is the only challenger to file for SD 24. 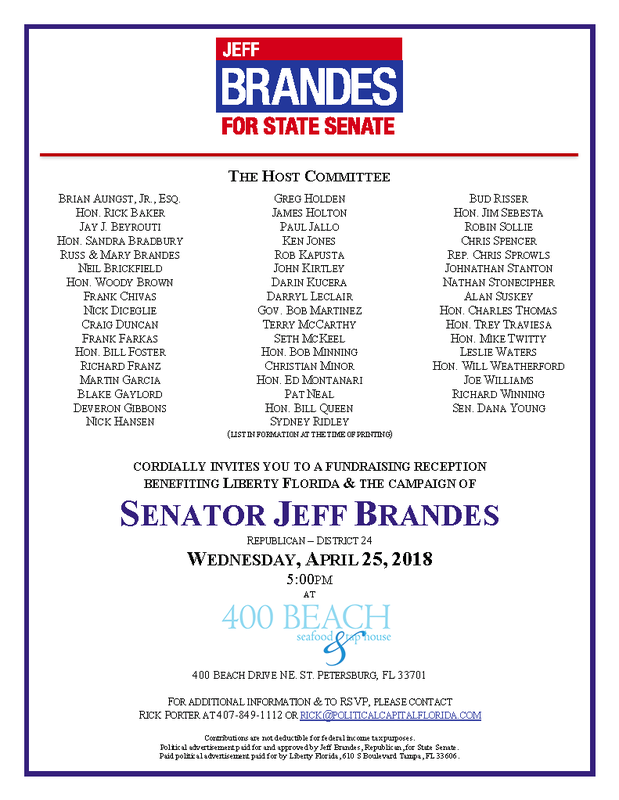 Brandes has been in the Senate since 2012 when he was elected to the pre-redistricting SD 22 … Republicans hold an advantage in voter registrations in the district, though the seat is far from a Republican stronghold. SD 24 would have gone for Barack Obama by about a point in 2012 and 2.5 points in 2008. In 2016, the district flipped and went plus-7 for Trump. “Family feud: Ray Pilon endorses daughter-in-law’s political opponent” via Zac Anderson of the Sarasota Herald-Tribune — They might be family, but that isn’t stopping former Sarasota state Rep. Pilon from siding against his daughter-in-law in her bid for the state Senate. Ray Pilon is a Republican and his daughter-in-law, Carrie Pilon, is a Democrat … Shortly after Carrie Pilon made her announcement, Brandes sent out an email with the subject line: “Ray Pilon endorses Jeff Brandes.” … “Senator Brandes and I served in the Florida House and were both elected in 2010,” Pilon said in the news release. “We worked closely on many issues, and that continued when he was elected to the Senate. He is a person of high moral values, of integrity, honesty and fairness.” Carrie Pilon is the wife of Ray Pilon’s son, Chad Pilon. Ray Pilon also is running for office this year. “Randy Cooper exits HD 71 race, will support Tracy Pratt” via Florida Politics — “I started running for this seat a year ago and have put my heart, soul, and a lot of sweat equity in this campaign but have to admit that it just was not enough,” Cooper, a Bradenton civil engineer and West Manatee Fire and Rescue District commissioner, said in a statement. 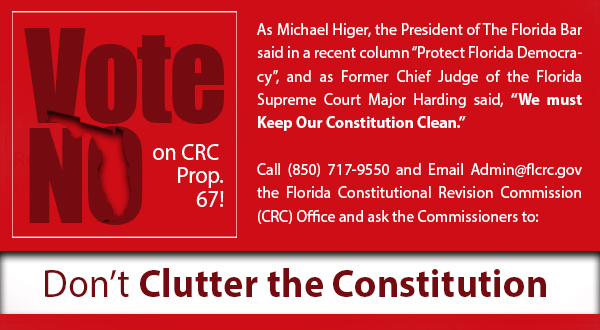 Instead, Cooper is throwing his support behind Pratt, a Bradenton attorney who entered the HD 71 race Thursday. “Tracy Pratt is smart, young, and a wife and mother, who will put the interests of the citizens and business in the area first, not special interest groups,” he said. Assignment editors — People in state House District 39 and House District 114 face a deadline to register to vote in May 1 special elections. Republican Josie Tomkow and Democrat Ricky Shirah face off in the special election in District 39, which includes parts of Polk and Osceola counties. Republican Andrew Vargas, Democrat Javier Fernandez and NPA candidate Liz de las Cuevas are running in Miami-Dade County’s District 114. “As U.S. Senate race looms, a slew of personnel moves in Gov. Scott’s office” via Florida Politics — There are staff changes galore in Gov. Rick Scott‘s office as he positions talent in advance of an expected April 9 announcement of his U.S. Senate campaign. Director of Appointments Collin Lomagistro is leaving effective today (Friday) to join the soon-to-be-announced campaign. ‎Environmental Policy Coordinator Julia Espy is becoming a Deputy Chief of Staff over transportation, housing and environment. Mary Beth Vickers, Policy Chief for Health and Human Services, will oversee all health and human services related areas. Chief Deputy General Counsel Jack Heekin is becoming another Deputy Chief of Staff over emergency management and law enforcement. Deputy Chief of Staff Megan Fay is leaving ScottWorld altogether to join Capital City Consulting. All this comes after an announcement earlier this week that Brad Piepenbrink was replacing Jackie Schutz Zeckman as Chief of Staff. She was said to be”pursuing other opportunities,” meaning also joining the campaign staff. “Scott signs bills designed to keep Florida ‘military friendly’” via Howard Altman of the Tampa Bay Times — Scott signed bills designed to reduce fees for Florida military, veterans and their families. The Don Hahnfeldt Veteran and Family Opportunity Act reduces professional licensing fees and requirements for certain military members, veterans, and their spouses. 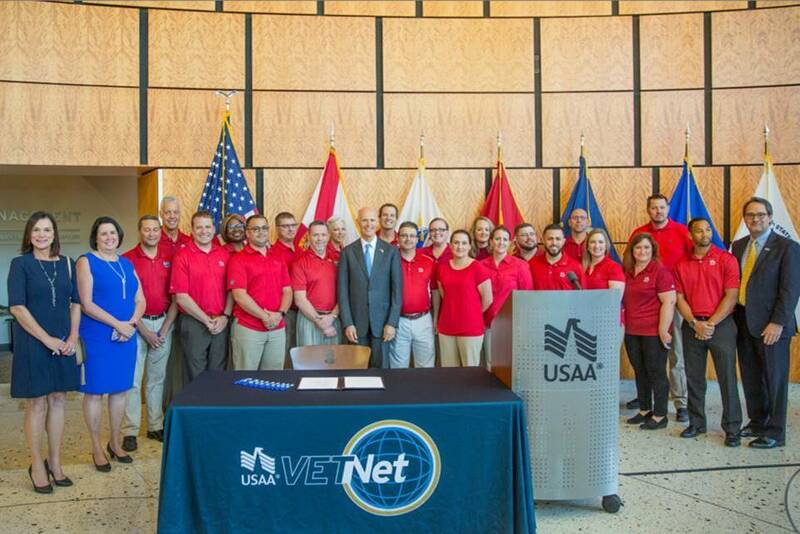 Scott also signed HB 75, authorizing state colleges to waive student fees for active duty military service members. This bill will also help make higher education more affordable for our military men and women. Military pride: Gov. Rick Scott, a Navy man himself, visited Tampa to highlight funding for military members, veterans, and their families. He also signed a bill to “increase opportunities and reduce fees” for armed forces men and women. Assignment editors — Gov. Scott holds a bill signing ceremony for legislation to strictly prohibit all state agencies from conducting business with any entity that benefits the Maduro regime in Venezuela. Event begins 9 a.m. at El Perdigon, 5748 International Drive in Orlando. Adam Putnam gives wildfire update — Putnam said Monday that there are currently 41 wildfires raging across the state. Of the 34,539 acres on fire, more than half are in Collier County where a 17,957-acre fire is 90 percent contained. Other significant fires include a Gulf County blaze that spans 8,080 acres and is 80 percent contained; a 1,037-acre fire in Miami-Dade in a fire that is 90 percent contained; and a Polk County fire that covers 450 acres and is 60 percent contained. The Florida Forest Service urges residents to take the following steps to prevent the spread of wildfires: obey outdoor burning laws, avoid burning on windy days, keep water and other firefighting resources on hand, never leave a fire or grill unattended, and avoid parking vehicles on dry grass. In the event of a wildfire call 911 or a local Florida Forest Service field unit office immediately. 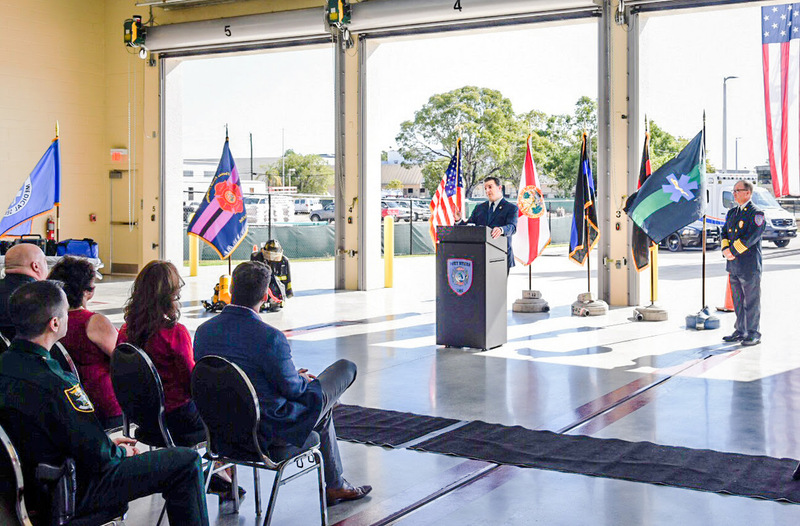 CFO Jimmy Patronis was joined by Sen. Lizbeth Benacquisto, Sen. Kathleen Passidomo, Rep. Heather Fitzenhagen, Rep. Dane Eagle, Lee County Commissioner Cecil Pendergrass, Fort Myers Fire Department Chief John Caufield and members of the fire service and law enforcement communities to highlight the signing of a measure expanding mental health benefits for first responders. 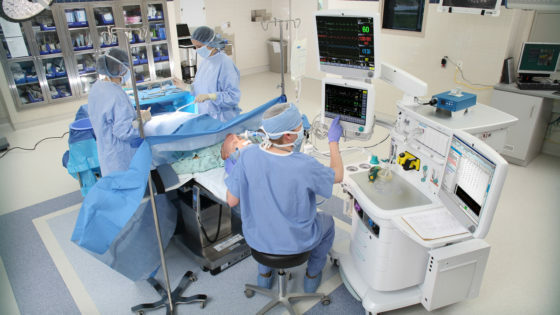 “Audit questions state anti-fraud efforts in Medicaid” via Christine Sexton of the News Service of Florida — Florida’s Medicaid program has been rapped by auditors who questioned what the state got for millions of dollars spent with a company whose lobbyists included two former Republican House speakers and a former top health care regulator. State auditors additionally raised questions about how aggressive the Agency for Health Care Administration has been in trying to clamp down on fraud. The newly released audit said the agency’s Office of Medicaid Program Integrity never forwarded leads regarding potential fraudulent activity to 11 HMOs under contract with the state. The audit … questioned why Florida spent more than $5.5 million on an advanced data analytics system and renewed the vendor’s contract five times despite the company’s inability to include data on the majority of people enrolled in the Medicaid program. Between 2014 and 2017, when SAS Institute was working for the state, the company listed a cadre of well-connected Tallahassee lobbyists, including former Agency for Health Care Administration Secretary and Medicaid director Tom Arnold and former House speakers Dean Cannon and Larry Cretul. “No Casinos on Special Session for gambling: Don’t do it” via Florida Politics — The head of a group that opposes casino gambling in Florida is telling lawmakers to take a pass on a Special Session for unresolved gambling issues. “If ever there was an issue that the Legislature has already spent too much time, energy, intellectual capacity and political capital, it is gambling,” No Casinos president John Sowinski wrote in a letter, released Monday, to House Speaker Richard Corcoran and Senate President Joe Negron. 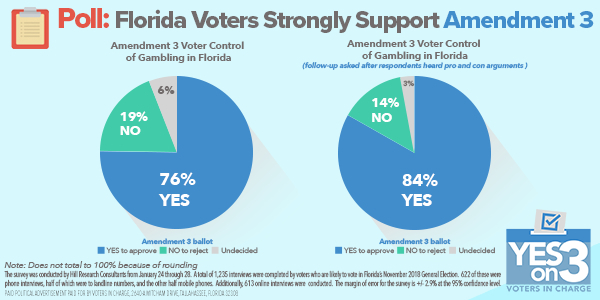 “Whenever this issue comes up in Tallahassee, negotiations between the chambers seem to be more focused on coming up with a ‘deal’ that satisfies competing gambling interests than enacting solutions that are in the best interests of the people of Florida,” Sowinski added. 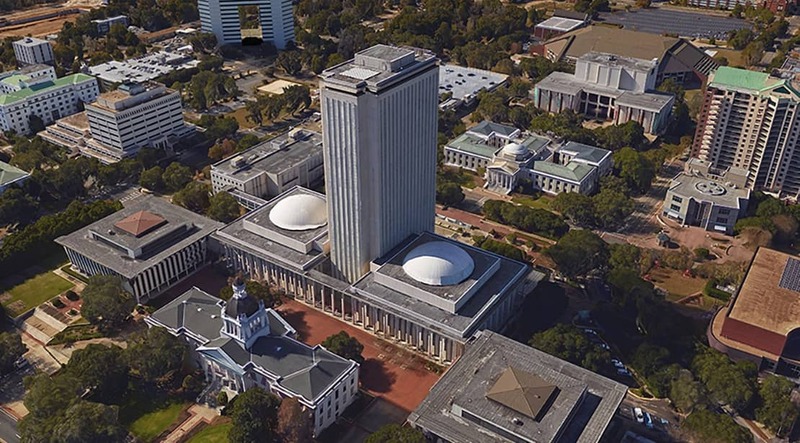 Legislative leadership late last week said it was considering a Special Session on gambling because of the end of a settlement agreement between the Seminole Tribe of Florida and the state. “Pharmacy panel weighs implementation of new opioid laws” via Danny McAuliffe of Florida Politics — The Florida Board of Pharmacy, which is charged with updating administrative code to include the new opioid provisions reviewed statute changes passed and signed into law this year. The main concern: A package tailored to curb the state’s drug epidemic by targeting the practice of overprescribing opioids. Gov. Scott signed the legislation (HB 21) into law in March. The new laws provided in HB 21, which take effect in July, will limit opioid prescriptions for acute pain to a three-day supply, and, when deemed medically necessary, a seven-day supply. Certain patients, such as those suffering cancer and other forms of chronic pain, will not be affected by the new prescription limits. 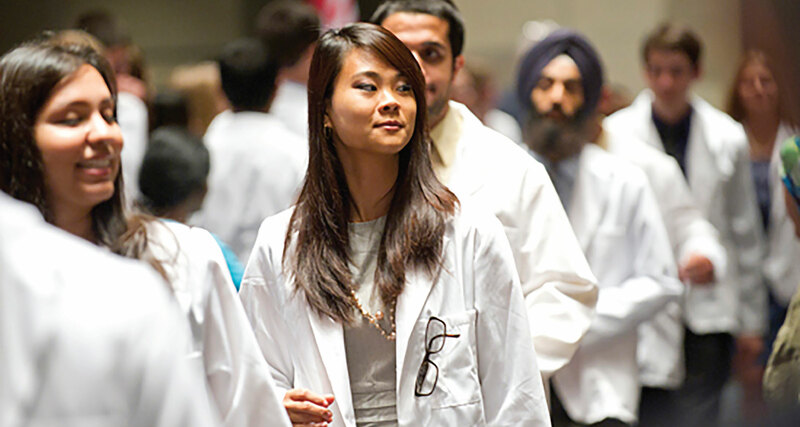 The bill also mandates the use of a statewide database, or prescription drug monitoring program (PDMP), which requires action from both pharmacists and doctors. “Medical marijuana provider Trulieve sues state over store limits” via Florida Politics — Trulieve, a medical marijuana provider, on Monday filed a “constitutional challenge” against the state’s Department of Health over how many retail stores it can open, and where, under current law. An attorney for the company, which is seeking “non-monetary declaratory or injunctive relief,” provided a copy of the complaint by George Hackney Inc., the Gadsden County nursery that does business as Trulieve. 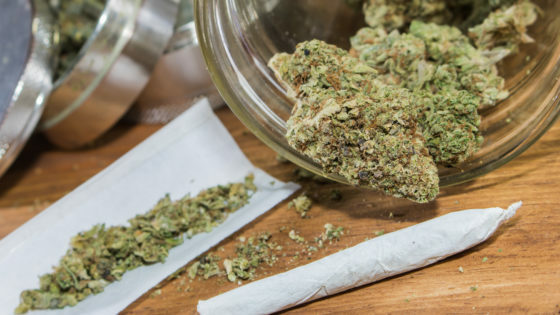 The lawsuit follows a similar administrative action last year that sought to lock down its “dispensary rights” … Trulieve now is asking a court to declare its rights under law to open new stores. The case, for now, has been assigned to Tallahassee-based Circuit Judge John Cooper. “Mears investors to compete nationally with ride-share cabs” via Kevin Spear of the Orlando Sentinel — A South Florida company has purchased majority ownership of the firm with ambitious plans to merge Mears’ traditional service with ride-share business tactics. “In the near future we will be the first and only full-service transportation company in the country that can meet all the ground transportation needs of a customer, including demand response ride-share services,” said Charles Carns, chief executive officer, in a memo to its more than 1,000 employees. The investment deal closed late Thursday, days after Mears had revised its concession contract with Orlando International Airport to acknowledge the change in ownership. “Scott Maddox spends campaign cash on lawyers” via Florida Politics — Maddox’s 2020 state Senate campaign showed its first signs of life in months: It helped him pay for lawyers. Maddox is one of the central figures in an FBI investigation into City Hall that’s been going on since 2015, and recent movement points toward the bureau laying out the case for mail fraud and bribery. With the investigation still ongoing, Maddox’s campaign account for the 2020 Senate District 3 race nearly zeroed itself out with a $125,000 payment to law firm Baker Donelson on March 23. Maddox’s attorney Stephen Dobson joined the firm’s Government Enforcement and Investigations Group in February. Speaking of Tallahassee — “U.S. grant ensures record-setting magnet lab stays in Florida” via The Associated Press — The National High Magnetic Field Laboratory is getting a large federal grant that will ensure it remains in the Florida state capital. The National Science Foundation is awarding $184 million to the lab, whose main location is at Florida State University. The foundation said that the grant would cover five years and is a 9 percent increase over the last round of funding. The lab has over the years set and broken various records for magnet technology. “Duke seeks rate hikes for new power plant” via the News Service of Florida — With a new Citrus County power plant poised to start generating electricity in September, Duke Energy Florida on Monday asked state regulators to approve rate increases to pay for the project. Duke plans to begin operating the first unit of the natural-gas fired plant in September and the second unit in November. Duke said … that residential customers who use 1,000 kilowatt-hours of electricity a month would see a $3.61 bill increase in October and a $2.27 bill increase in December. Increases would vary for commercial and industrial customers. The state Public Service Commission will decide whether to approve the increases. Duke said the project, in part, would help reduce carbon emissions. “Joe Biden to visit St. Petersburg in June” via Kirby Wilson of the Tampa Bay Times — Biden announced that he is adding St. Petersburg to his extended list of book tour dates this summer. He’ll visit the Mahaffey Theater June 4. “I’m grateful to have the opportunity to continue this tour and hear from so many more people,” said Biden in the release. Biden has already made two Florida stops on the national book tour for his memoir, “Promise Me, Dad: A Year of Hope, Hardship, and Purpose.” He visited Miami in November and Orlando in January. “Marco Rubio offers hope for Irma-affected farmers” via the News Service of Florida — Federal disaster relief for farmers impacted by Hurricane Irma may be available “as early as next week,” according to U.S. Sen. Rubio. Florida citrus farmers have expressed increasing frustration as they await distribution of $2.36 billion in federal disaster aid … Citrus growers suffered at least $761 million in losses from the September storm, which caused an estimated $2.5 billion in losses to Florida’s agricultural industry. Rubio and Democratic U.S. Sen. Bill Nelson have urged Agriculture Secretary Sonny Perdue to release the agriculture aid, which was part of the $90 billion disaster relief package signed by President Trump on Feb. 9. Rubio’s office did not say how the funds, once available, would be distributed. The federal legislation provides Perdue with wide flexibility in disbursing the disaster assistance, with the goal of helping farmers rebound from crop losses as quickly as possible. “Rubio to move Miami office” via Scott Powers of Florida Politics — But unlike when the Republican senator had to relocate his Jacksonville and Tampa offices last year, the move is being attributed to the office space, not to landlords getting frustrated with ongoing political protests outside the building. “We are in the process of relocating that office, but it was our decision, for a couple of reasons. We were not asked to leave by building management,” Todd Reid, Rubio’s state director, said. The current Miami office actually is in Doral, just west of the Miami International Airport, and is owned by the American Welding Society, which also has its headquarters in the building. Reid said the Rubio team has identified a new location in Miami but is not ready to move, nor announce the new location. However, he said the new location would continue to provide easy public access. “Nelson tours Jacksonville’s Anheuser-Busch brewery, criticizes Trump over tariffs” via Ryan Benk of WJCT — Citing a study by the business-friendly Tax Foundation, Nelson said the import taxes the Trump administration announced last month would get passed on to employees and consumers. “This extra tariff, or tax, on steel and aluminum is going to cost 9 billion extra dollars for consumers in this country, and in Florida alone, it’s going to be a half-billion dollars,” he said. “That itself is not a good thing, but what it portends also is starting a trade war.” Nelson said the sudden import taxes, and retaliation by China with tariffs on 128 U.S. products, remind him of a dark time in America. “A trade war ultimately runs into a recession, which is part of the reason [for] going into the Depression in the 1930s. So, you always have to worry about that. Remember the Smoot-Hawley Tax,” he said. “Florida lawmaker (Vern Buchanan) who helped craft new tax law stands to gain” via Richard Lardner of The Associated Press — Already one of the wealthiest lawmakers on Capitol Hill, Vern Buchanan could become even wealthier after he and other Republicans muscled a sweeping rewrite of the U.S. tax code through Congress late last year that includes breaks for the real estate and automobile industries that generate most of his income. The potential windfall for Buchanan — worth at least $80 million and perhaps much more — echoes on a smaller scale how favorable the new tax law is to President Trump, whose fiery populism won him support from struggling American workers and families. While Trump and Republican allies have billed the tax law he signed as a victory for a stressed middle class; the $1.5 trillion package provides the most significant tax cuts for corporations and the most prosperous Americans. Not a single Democrat in the House and Senate voted for the legislation, which they’ve depicted as a payout to the GOP’s largest donors. 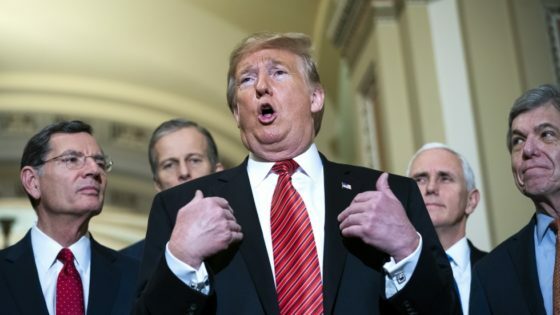 Seeking to convince voters otherwise, Republicans have trumpeted announcements from companies that credit the overhaul as the reason their workers are getting bonuses and wage increases. But the biggest winners are those who are already doing well. Assignment editors — U.S. Rep. Ted Deutch will hold a town-hall meeting about preventing gun violence beginning 6:30 p.m. at Coral Springs City Hall, 9500 West Sample Road in Coral Springs. Putting a local face to a large-scale issue makes it feel closer to home. A recent story by the Tallahassee Democrat’s Nada Hassanein goes just outside the capital city to Quincy to illustrate the impact a federal plan to end Temporary Protected Status could have on certain immigrants only miles away from the state’s Capitol. Deadline: The Trump administration ended TPS for Haitians, Nicaraguans and Salvadorans because it alleges the countries have “improved conditions.” Salvadorans, the largest group protected by TPS, have until Sept. 9, 2019, to leave, or risk deportation. Clearance at the Capitol: Ronal Vasquez, another Salvadoran who has worked on construction projects at the state Capitol, said he will have to return to Mexico or El Salvador, where “you have two options: Either you become a gang member, or you become a person who is against gang members — and then your life is always in danger,” Vasquez said. “Don’t be too quick to call race for governor” via Shevrin Jones for the Orlando Sentinel — Right now, the race for governor is wide-open. Voters are just learning about the candidates — and the more they learn about Andrew Gillum, the more they’re excited by his progressive vision. Florida’s Democrats are hungry for authentic progressives this year. They’re ready to vote for a leader who is fighting for higher wages for working families, expanding quality, affordable health care for all, defending our environment, protecting the rights of every Floridian, and taking meaningful action on gun safety. That’s why Gillum has emerged as the real progressive in the race for governor, and why the media has called him the “Democrat catching fire” who is “speaking from that true progressive playbook.” This year, Democrats know more than ever who’s really in their corner. They know it’s not someone who proudly declared she was a “very conservative Democrat” and they know it isn’t someone who said she was the only Democrat who could win statewide. I’m proud to stand with Andrew Gillum, and I deeply respect the other candidates in this primary. It has been a long time since we saw a field of gubernatorial candidates this diverse in their thinking, their backgrounds and their approaches. “Save rural Florida. Here’s how to do it.” via Rick Dantzler for the South Florida Sun-Sentinel — How would we do it? By charging a Cabinet-level elected official — the Florida Commissioner of Agriculture — with preserving as much of what remains of rural Florida as possible. The Florida Department of Agriculture and Consumer Affairs would be reorganized to become just the Florida Department of Agriculture, and it would have just one mission: to save what remains of rural Florida. Every single day the Commissioner of Agriculture and Department of Agriculture personnel would wake up with one thing in mind: to keep open land arable and free from development … anything that affects the preservation of agricultural land and undeveloped spaces should go through the Commissioner of Agriculture. Regulating, policing and supporting farmers and ranchers would remain since the health of agriculturalists is key to preserving open spaces. After all, no matter how much land is purchased for conservation, most land will remain in private hands, and the support of these property owners is key to limiting urban sprawl. Someone needs to become the state’s primary advocate for sufficient conservation funding, protection of farm and ranch land, and smart growth. I’ve suggested that it be the Florida Commissioner of Agriculture because most of our undeveloped land is agricultural in nature and landowners trust the Office of the Commissioner of Agriculture. Ranging from dissecting a fiery Trump tweet about DACA to examining what can be done to help endangered species in Florida, there’s a lot to unpack in the latest episode of The Rotunda. But for some, the most ear-catching moment of Trimmel Gomes’ wide-ranging podcast this week is a part about a private-sector backed, solar-energy utopia sprouting north of Fort Myers: Babcock Ranch. Alongside developer Syd Kitson, whose company Kitson & Partners is completing Babcock Ranch with Florida Power & Light, Gomes gives listeners a glimpse of the future. The numbers: According to Kitson, Babcock Ranch will have just under 20,000 homes and 6 million square feet of retail space. FPL has built a solar facility capable of powering the town and what Kitson claims is the world’s largest solar-to-battery storage unit. Ninety-percent of the initial purchase is dedicated to preservation, and 250 families are expected to move into the community this year. Home prices range from the high $100s to $1 million to attract multiple generations. “Marc Dunbar to join Citizens Insurance board” via Florida Politics — Dunbar, the Tallahassee-based lawyer and gaming lobbyist, will become the next member of Citizens Property Insurance Corp.’s board of governors. Dunbar, a partner in the Jones Walker firm’s Government Relations Practice Group, interviewed in February with CFO Jimmy Patronis for a vacancy on the state-run insurance concern’s board of governors. Citizens is the state’s insurer of last resort. Dunbar, who described himself as “an outsider with no insurance ties,” has said he was “honored to be considered.” He replaces Don Glisson Jr., an insurance executive who stepped down last August. “Personnel note: Megan Fay joins Capital City Consulting” via Florida Politics — Fay, who until recently was Deputy Chief of Staff to Gov. Scott, is heading to Tallahassee’s Capital City Consulting, the firm announced Tuesday. Fay will come on board in mid-April, said Nick Iarossi, a founding partner of the firm. “Megan’s policy knowledge and political instincts impressed us for years,” Iarossi said in a statement. “We are happy she can apply those skills to help our clients in Tallahassee. She will be a valuable addition to our expanding team.” As deputy chief of staff, Fay oversaw key state agencies, such as the departments of Education, Lottery, VISIT FLORIDA, and Business and Professional Regulation, as well as the Florida Housing Finance Corporation and CareerSource Florida. “Cesar Fernandez to join Uber’s Latin America public policy team” via Florida Politics — “It’s been an honor and a privilege to work with public stakeholders all over Florida on embracing ride-sharing,” said Fernandez. “I’m excited to shift my focus to advocating for safe and reliable mobility solutions in Central America and the Caribbean.” Fernandez’ new job will be focused on government relations in several countries in Central America and the Caribbean. Uber currently operates in Costa Rica, Panama, Guatemala, El Salvador, Dominican Republic, Trinidad and Tobago, and Puerto Rico. The new position will keep him in the Sunshine State at the ride-hailing company’s offices in Miami. Jonathan L. Williams to Lash & Goldberg — The firm added Williams, a former Deputy Solicitor General, as a “senior counsel” in Tallahassee. His practice includes state and federal administrative and constitutional law, product liability, health law, environmental, tax, gaming, and consumer protection. He helped represent Florida before the U.S. Supreme Court in a long-running dispute with Georgia over a multistate river system. “Jonathan’s addition to the firm highlights Lash & Goldberg’s commitment to expanding the depth and experience of our team to better serve our clients,” said Alan D. Lash, founding partner at Lash & Goldberg. “His exceptional and diverse legal skills will be a tremendous asset to our firm.” Williams got his undergraduate degree from Princeton University and a law degree from Duke University. “Ecologists hopeful after strong year for Everglades wading birds” via Greg Stanley of the Naples Daily News — Many of the birds produced some of their healthiest nests in a decade, fledging tens of thousands of chicks, according to South Florida Water Management District’s annual wading bird report out this month. It remains to be seen how lasting the uptick will be. And while the birds did well in the refuge of Everglades National Park and in a handful of water conservation areas immediately north of it, they still struggled in their ancient breeding grounds, in the disappearing shallow wetlands near the Big Corkscrew Swamp and coasts of southern Florida, according to the report. It’s important not to read too much into one-year population jumps or drops, said Mark Cook, the water district’s lead scientist, who helped put together the report. But last year’s numbers compared to 10- and 20-year averages are a sign for hope, Cook said. Welcome to the world: John Hansen, the fifth addition to Riley and Nick Hansen‘s family. Mom and baby are doing great, says Dad.